Passion or hobby, whatever you call things that you wanted to do, and that frustrates you every time you can’t do it, for me it goes well with the word Love. 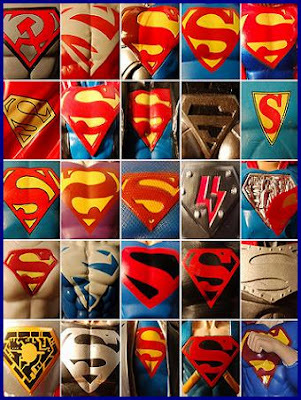 I can still remember when I was young, young at the age of 13 and up, I was really fascinated with superman logo. I don’t know why, maybe because of the design, or the colors, or maybe I was just dreaming of a brothers Love. There are times in our life that we tend to seek others the Love that we ought to have. And maybe the reason why I was madly and crazy in love of the logo is because I used this as an outlet to cover my siblings negligence of showing me the care and love that as the youngest expects to be experienced from them. That’s why until now, we are not that close with each other, especially with my brother. That was mainly the reason also, why I am still dreaming to have a male best friend and ever since i love hanging out with boy friends. And I guess, being inclined to engage in a hobby or anything that could make us happy, is not bad. For, I’ve proven it myself. I am happy. Well, come to think of this line, is there something wrong with the way I handle my life?